» Nutrition » The Power of Water: Don’t Medicate, Hydrate! Water is by far the #1 nutrient in our diet and absolutely essential for our survival. After all it makes total sense – our body consists of 65% to 70% water. About one gallon (3.78 L) of water is eliminated from our body every 24 hours through the pores of the skin, through the kidneys and through other eliminative organs. In order to maintain the correct healthy water balance, this loss of water must be replenished. Also if you get the fluid/water replacement issue right, then you have made one of the most important and powerful steps you can in taking control of your health. Dehydration is perhaps the most common, yet largely overlooked problem that effects our modern society today. 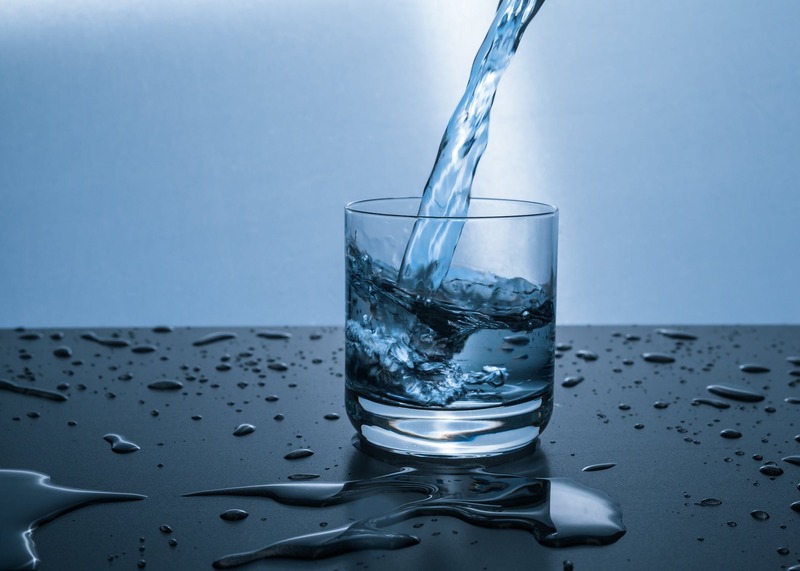 Alcohol, coffee, tea, and soft drinks have become the primary choice for satisfying thirst, and the problem is that the main effect of these beverages, is to remove water – the most important substance in the body – from the blood, cells and organs. Drinking enough fresh water is an absolute MUST if you want to avoid disease and slow down the aging process. In order for us to get and stay healthy we need to drink plenty of clean water daily. This will help tremendously with digestion, improve the metabolism as well as assist the body with eliminating wasteful material. I understand that to some of you, drinking water might not be all that exciting. However, if you don’t get enough water moving through your system the consequences are huge! 8. Water relieves headaches; those that just come on or the one’s that come on after a night on the town! 12. And lastly water just helps us feel energized and alive! Men should drink about 3 liters (about 13 cups) of total fluids a day. Women should drink about 2.2 liters (about 9 cups) of total fluids a day. Men need a little more because they tend to be larger on average and naturally have a little more muscle mass—which holds water better than fatty tissues. Of course, pregnant women and nursing mothers need more water as well. Start the day by drinking one glass of warm water to end the “drought” of the night and remove accumulated wastes from the excretory organs. This can be followed by a glass of warm water with lemon and honey. About half an hour before each meal drink one glass of water. Doing this will keep your blood thin and thereby enable it to take up nutrients and distribute them to the cells. The water also helps increase the secretion of digestive juices and prevents bile from becoming too viscous. By contrast, drinking a lot of water or other beverages with your meal dilutes the digestive juices, which greatly undermines the digestive process. Following a meal, the blood uses up a considerable amount of water to distribute nutrients to the cells and can, therefore, become water deficient quite quickly. Drinking another glass of water approximately 2 1⁄2 hours after each meal restores the blood’s water requirements. These simple guidelines can help prevent the most serious major diseases that are prevalent in modern societies today. Drinking sufficient amounts of water at the right times can and should be part of every other therapy used in the treatment of disease. Q: I don’t like water, can I drink juice or soda instead? A: NO! Ditch the calorie containing drinks including fruit juice (unless it’s freshly pressed!). In fact, all of your drinks should come from non-calorie containing beverages. Store bought juice, alcoholic drinks, coffee, tea and sodas – don’t count! In fact most of these should be be removed from your daily fare altogether! Do you have any idea of what enters into the manufacturing of “soft drinks”? Sugar and carbon dioxide, to begin with. To drink it, you are adding additional carbon dioxide to the already superfluous volume of it in your body, thereby increasing your heart-beat and doing other damage of which you may not be currently aware, but in a log run the consequences of drinking pop/soda and the accumulative damage they are horrifying! I want to put the emphasis on CLEAN water. Today’s tap water is nothing short of scary. In most parts of North America, we are lucky to have access to running water. The trouble is that this water is often mass-produced. Unfortunately, water treatment means adding hormone-disrupting chemicals like chlorine, man-made fluoride and an assortment of heavy metals. • Residues of pharmaceutical medications such as birth control, antidepressants, etc. Your body recognizes all these chemicals as poison and has to filter it. This puts unnecessary strain on our bodies. So, what can YOU do? Drink and use ONLY pure water! Now you have all the reasons to stay hydrated – it’s time to apply it to your daily life. Nikki has created a Free Printable Water Tracker sheet for you to use that will help stay consistent with your water intake each and every day. Feel free to download it, print it out, put it on your fridge or desk and hold yourself accountable. Suggestion: Laminate it then use a dry or wet erase marker to mark off your water consumption for the week. Then, wipe clean at the end of the week and you’re ready for the next week of water drinking. 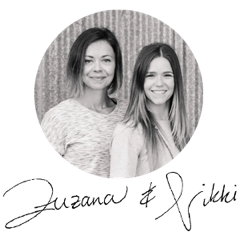 To learn more about making important improvements to your nutrition and exercise program, check out our AV Coaching program. DOWNLOAD a Water Tracker sheet now! PS. 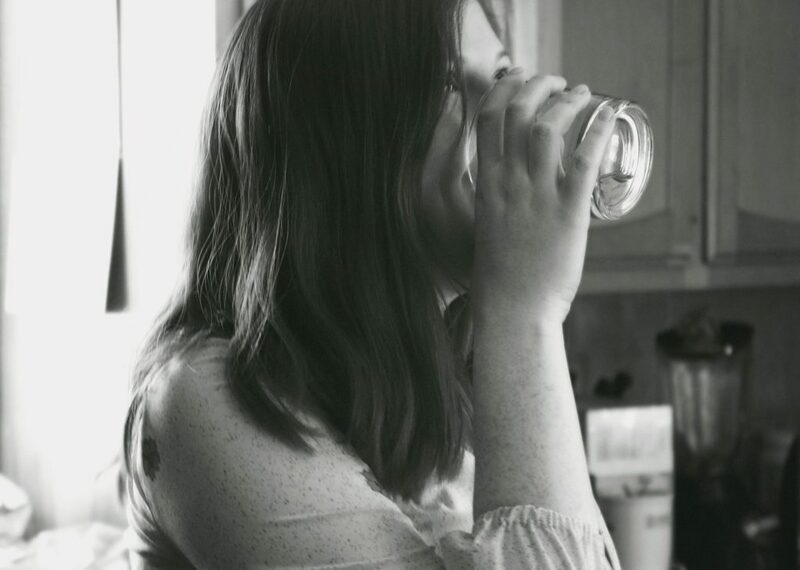 While I was gathering all the information for this post I came across this article documenting how drinking more water radically changed one woman’s appearance, making her look 10 years younger! Whether or not fancy lighting or makeup was used to make the change look more dramatic, I still find it pretty convincing to try my best and drink enough water.